A survey questionnaire is a quick, cost-effective way to gather both factual and subjective information. However, since there are a variety of types of such surveys, such as multiple choice or ratings scales and variables you can include like comments and demographics questions, it's vital to clarify your goals and decide how you intend to use the answers before selecting types and writing specific questions. By following best-practice guidelines as you construct your survey questionnaire, you will be maximizing its benefits. Different types of question elicit different responses. Include a multiple-choice section for questions in which you want respondents to make a clear choice between a fixed number of options. Use a rating scale such as 1 to 5 to measure opinions and attitudes about a topic or an issue. Include open-ended questions to encourage respondents to clarify an opinion or make suggestions. Ask demographics questions to get information such as a respondent's geographic location, background, education or income level. Avoid writing double-barreled questions, a technique that combines two questions into one. Instead, make sure each question focuses on a single topic or issue. For example, in an employee survey, rather than asking a rating scale question such as, “How do you feel about changes made to vacation request procedures and work hours,” break these into two separate questions. If you do include a double-barreled question, Qualtrics, an online survey platform, recommends using a multiple-choice format that provides a variety of response options. Objectivity is essential in every question in the survey. To prevent intentional or unintentional bias that can distort results, avoid using strong or descriptive words. For example, words such as “force” or “prohibit” can sway a respondent’s answer, as can a question such as “How would you rate our award-winning customer service department?” In addition, take care when choosing between the words “could,” “should” and “might.” While these may seem the same, Qualtrics says that using the wrong option may lead to a 20 percent difference in the answer to a survey question. Write concise, clear questions that leave no room for alternate interpretations. To do this, first make sure the respondent can answer the question. For example, ask whether a respondent has ever used a certain online help feature before you ask the person to rate the feature. Eliminate unnecessary words and phrases that may confuse people. 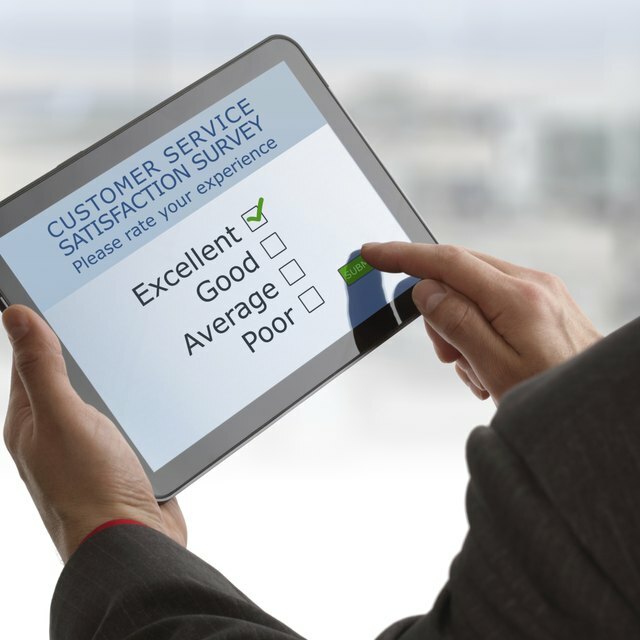 For instance, condense a question such as, “How much do you think you would have to pay to have our repair department fix something that needs to be repaired at your residence” into, “How much do you think a repair service call costs?” Finally, always give respondents the option to not answer a survey question. Qualtrics: Survey Questions 101: Do You Make any of These 7 Question Writing Mistakes?